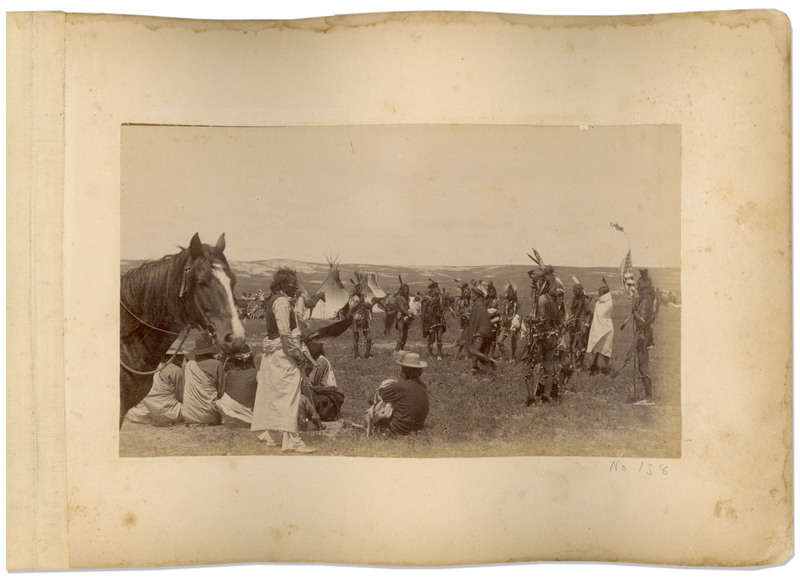 Two original albumen prints from 1891, taken by Northwestern Photo Co. of Chadron, Nebraska, whose company is well known for documenting the aftermath of the Wounded Knee massacre. 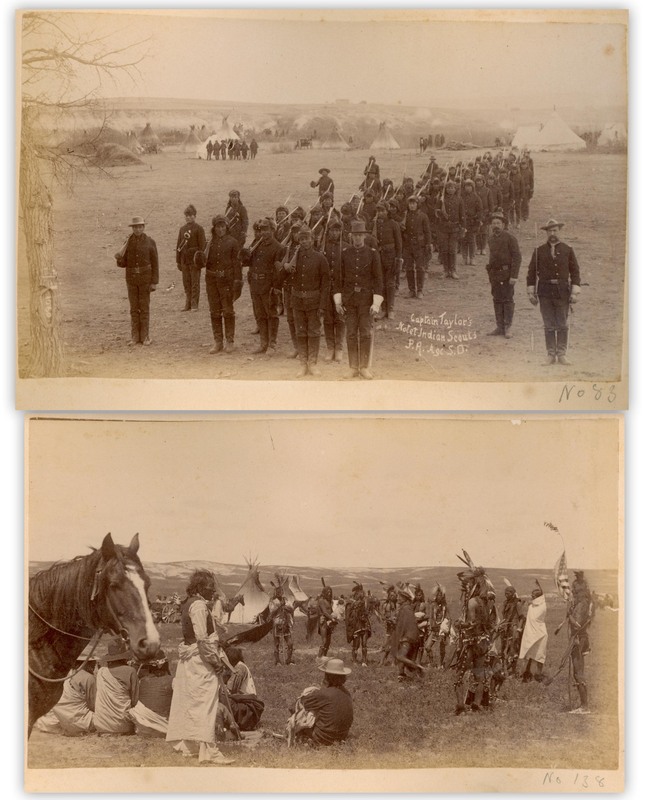 One of the photos was taken at the Pine Ridge Agency, showing Captain Charles Taylor posing with his Indian Scouts, with photo reading in the negative, ''Captain Taylor's Notet Indian Scouts / P.R. Agc S.D.'' The other possibly unpublished photo shows a group of Sioux formed in a semi-circle at or near Pine Ridge, numbered 138 in pencil on the mat. Photos measure 7'' x 4.25'', affixed to an album mat measuring 10'' x 7''. Some buckling and staining to mat. 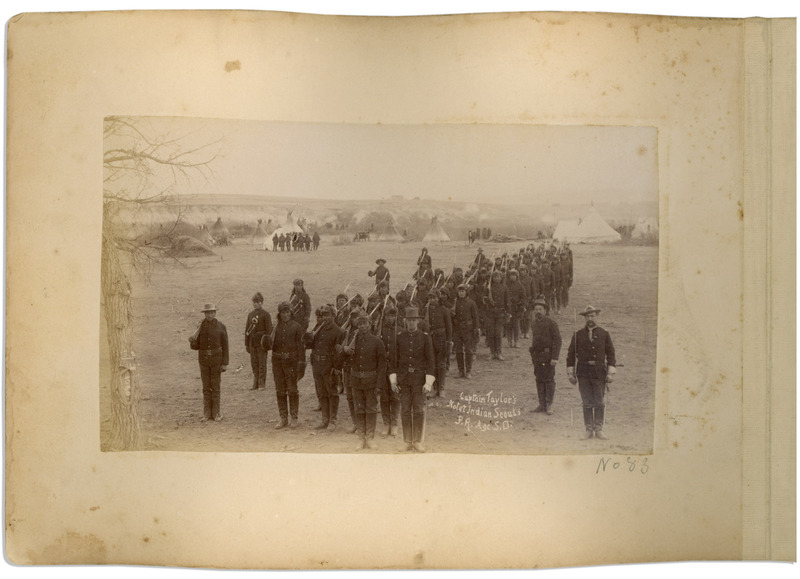 Photos are a bit light, but overall in very good condition.